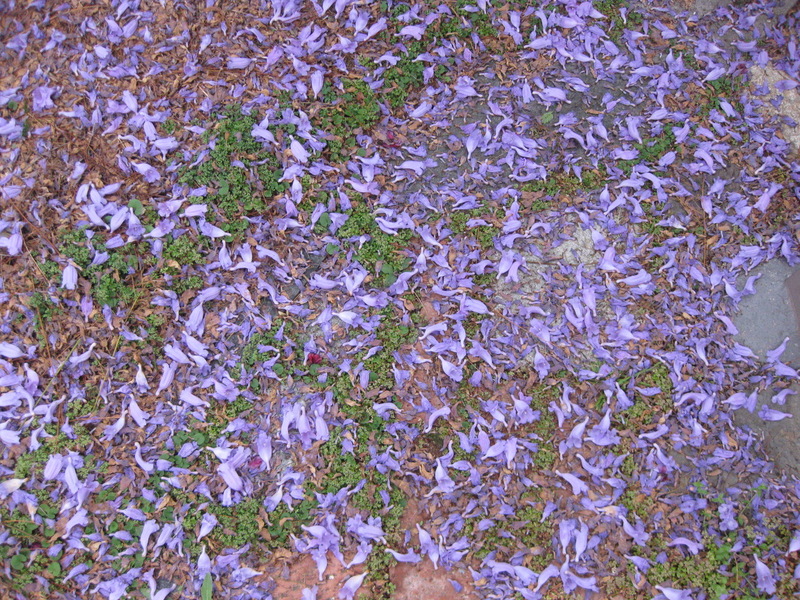 Poet, Diane Gage sees that it's Jacaranda season, "sticky with cruising bees" in San Diego. Which makes the Art Ranger want to walk on bumpy sidewalks where smells trade places with cracked uprooted squares. Here's our street a few months ago. Let us breathe in the freshness and recall the smell. As we hydrate or partch or patch ourselves. Drain man probably knows Mud man. May you have a soul full solstice this week. Please see what you see and send it to FAF@homelandinspiration.org. We the people must watch the show. Oh woe - oh wow - what now. And on like that. 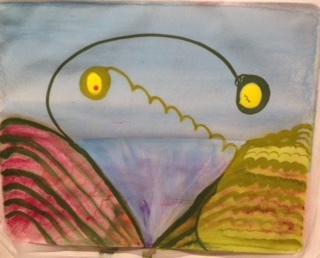 Now we must get on with our Found Art, collected and distributed on Friday, a ritual of observation. Plus some words. May you have lovely week-end or day moment. Cheers to doing it ourselves about climate whenever possible. Breathe. And behold - you found some "art"? Send to FAF@homelandinspiration.org.